There are so many various types of floors out there, and we understand that choosing the right one can seem confusing. That’s why, to help guide you through the process, we’ve created an advice centre to help you choose the best floor for you. Most floors can go in most rooms, but some need to be looked after more than others. To explain this, we’ve created the grid below. Simply pick your room(s) and see which floors are best for you! Good Choice Not Recommended! Dry all spills as quickly as possible! A solid wood or real wood floor is one that is milled from a single piece of timber. Our wood is kiln or air dried before sawing, and the manufacturing process is meticulously controlled to ensure the moisture content is correct, this means that your flooring will not warp in the time between manufacturing and fitting. As only 100% real wood is used, once your flooring has been fitted, it is able to be sanded down, refinished and re-coated many times, this is what makes this option such an excellent choice and we are confident that you will agree! You will not have to worry about replacing your floor; in fact, the same flooring is often kept and looking just as good as new hundreds of years later- it truly is a timeless classic. This type of flooring will create a beautiful look and traditional feel to your home. As is evident on our website, solid wood flooring is available in a variety of styles and finishes to ensure you will be able to find the perfect one to achieve the living space you desire. If you are seeking flooring that offers the natural beauty and comfort of real wood but you want to be safe in the knowledge that it will last for many years with no problems you have definitely come to the right place! As well as looking and feeling like real wood flooring, engineered wood is able to be fitted in areas that are not recommended for solid wood, for example; in kitchens or conservatories, this is because engineered wood is much more resilient to changes in moisture and humidity. 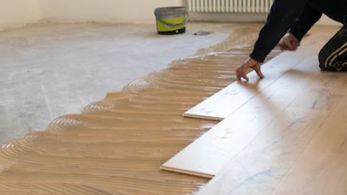 As a result of this all our engineered wood floors can also be laid above underfloor heating. Our engineered flooring is crafted with a top layer of stunning solid wood veneer which is available in a variety of finishes just like solid wood. The under layer is made from softwood, plywood or HDF (high density fibreboard), all of which are incredibly strong and supportive to ensure that your beautiful flooring will not warp or shrink over time. LVT or Luxury Vinyl Tile is an innovative design of vinyl flooring.The realistic look of either wood, stone or ceramic tile is extremely hard wearing and resilient to daily wear and tear. It has a scratch resistant surface and waterproof making it ideal for any room in your home. There are a few different finish options to consider with your solid wood flooring, which one you choose will depend on the look you are aiming for and the level of protection you require. Carry on reading to discover the pros and cons of each finish we offer. Our lacquered real wood flooring has a smooth finish as the lacquer sits on top of the wood creating a protective layer, this means that it is unbelievably easy to clean and extremely resistant to scratches. The lacquer creates a glossy polished finish which will reflect the light in your room, making it seem brighter and more spacious. Lacquer is also great at protecting your flooring from sunlight. Oiled solid wood is ever becoming more popular as people opt for its traditional and natural look. The other factor that adds to its charm is that unlike our lacquered finish, the oil actually seeps into the wood and strengthens it over time. 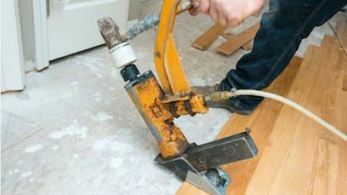 If you ever damage a part of your floor, you will only ever need to sand down and reapply oil to any damaged areas, as opposed to lacquered wood where you would have to sand down the whole room. We would also like to inform you that an oiled wood floor will show the effects of direct sunlight more that its lacquered alternative. Our brushed and oiled wood will create a natural look in your room as it is not perfectly smooth and shiny. It has a lot of character due to the process used to finish the wood; it is wire brushed to remove the fresh wood, exposing the older wood beneath with its traditional grain, knots and rings, this also aids in hiding any scratches your solid wood flooring may endure. With this finish the oil soaks in, strengthening the wood and enhancing the natural look, please note; this does need to be re-oiled every now and then but it is a relatively easy task. Brushed and lacquered wood flooring gives you the natural look as all the natural features, rings and grain patterns in the wood are exposed during the wire brushing process. As this flooring is also lacquered, you are getting the best of both worlds as your traditional looking floor is coated with a strong protective layer. When light falls on your brushed and lacquered real wood floor, some is absorbed and some reflected so any scratches would be unnoticeable to the naked eye. This really is an excellent choice, easy to maintain and the lacquer protects your wood against sunlight. Our hand scraped solid flooring offers an aged, worn and very individual statement to your room. This flooring used to be incredibly expensive as it was highly labor intensive to hand carve each board, however, machine hand carved wood has become available recently, thankfully also coming with a modest price tag. Choosing our hand scraped wood will give you classy designer flooring much below high street prices! Available in a variety of species and finishes. Although we do try our best, we understand that we may not supply the perfect combination of colour, shade and finish that you require. 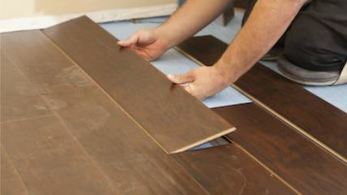 Therefore, we supply unfinished solid wood flooring so that you can design your own finish to make it personal. This will allow you to create a truly bespoke floor. We would like to recommend that you experiment on our unfinished wood samples first to help you find the look that you desire. How to Install Solid Wood Flooring? Our real wood flooring either comes with a clever and easy click system or with the traditional tongue and groove system, read about each of them here to decide which is best for your needs. 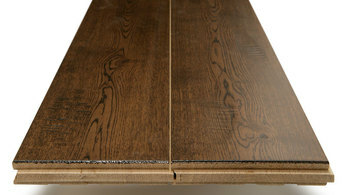 Tongue and groove- Tongue and groove solid wood flooring specifies that one side of the board has a protruding edge and the other has a rebated edge, these edges will fit perfectly into each other once fitted and therefore, creating a smooth flooring surface without any gaps. Our tongue and groove flooring can be installed on any type of sub-floor, using secret nails, screws or glue. Click- Our click fitting system makes installing your real wood flooring very straightforward as the planks simply click together and lock into place without the need for glue, screws or much equipment. Therefore, this joining method is ever becoming more popular for DIY enthusiasts. 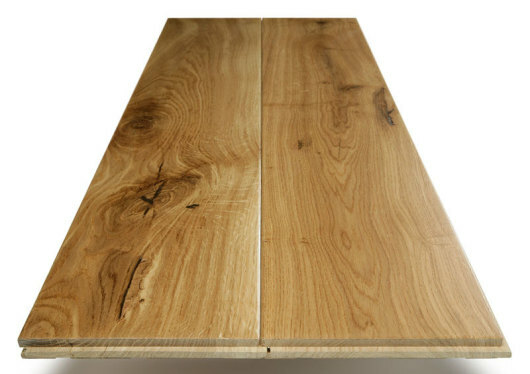 What type of Solid Wood Species do you sell at Easy Step Flooring ? Oak- Oak is usually recognisable by the straight and looping grain patterns and the knots in the wood, this will create a traditional and natural look in your home. 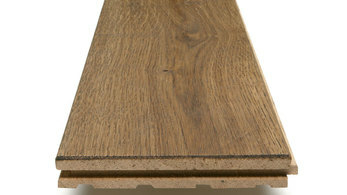 Oak is certainly our customers most popular choice for solid wood flooring, therefore, we stock an array of colours in a variety of different sizes and finishes to suit your requirements, whatever they are. All our oak is grown in Europe ensuring great quality and consistency with every board. If you want to add some light to your room, our light solid wood flooring will certainly give the illusion of added brightness and help reflect the light around your living space. Light flooring works well in modern homes and is a real design statement. We also recommend this flooring shade in commercial or busy environment as lighter floors are good at hiding scratches and dents. Our medium shade real wood flooring seems to be our customers' most popular choice, probably due to its ability to work well with light or dark interior decor. We would like to advise that our medium shades of wood still very quite a bit depending on the natural colour of the species of wood used (i.e. medium oak would be much lighter that medium walnut). Dark wood flooring is very popular in both modern homes and traditional outsets. It reminds us of cosy old country houses with a blazing fire, on the other hand, our dark flooring certainly would add a stylish design factor to a light room. 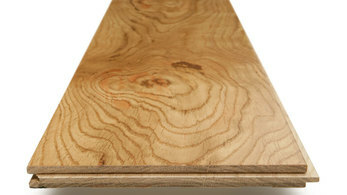 What is Single Plank Wood Flooring ? 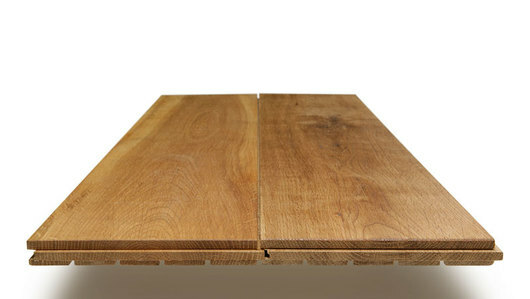 Single Plank are easily our most common option for real wood flooring. This is the long established process of cutting one plank of wood from a tree and manufacturing it into a board, this ensures the flooring looks natural and the structure and grain of the wood can really be seen and appreciated. We think opting for single planks will give your room the impression of being larger. 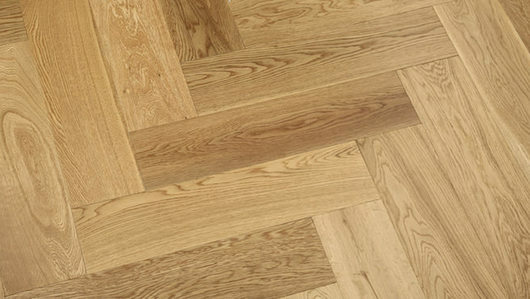 Parquet flooring really will make a statement and look incredibly elegant in your home. It is constructed by laying many identical planks in a geometrical and angular pattern, as is evident in the pictures. Herringbone design is our most common but there is an array of patterns for parquet floors, to ensure you can achieve the individual look you desire.